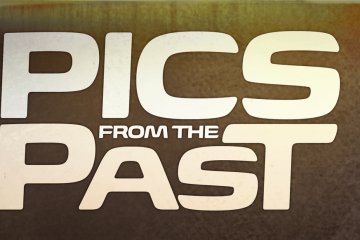 IT’S A FACT that old trucks don’t drive like their modern counterparts, and changing that takes some work. 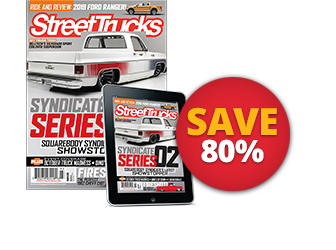 If you simply want to go low, there are budget options on the market that will get your truck down; however, it will take more effort to make it drive and handle like a contemporary truck. Before aftermarket companies started making products to ’bag classic rides, it took extensive modifications to get them super low. If you want to bring one of these trucks down, or even lay one on the ground with airbags, you’ll get the best results if you start from scratch. 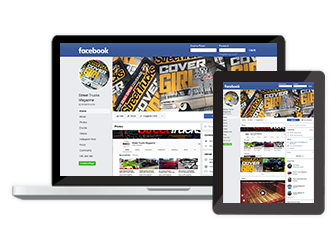 Fortunately, there are companies like The Roadster Shop (RS) that make the job easier. 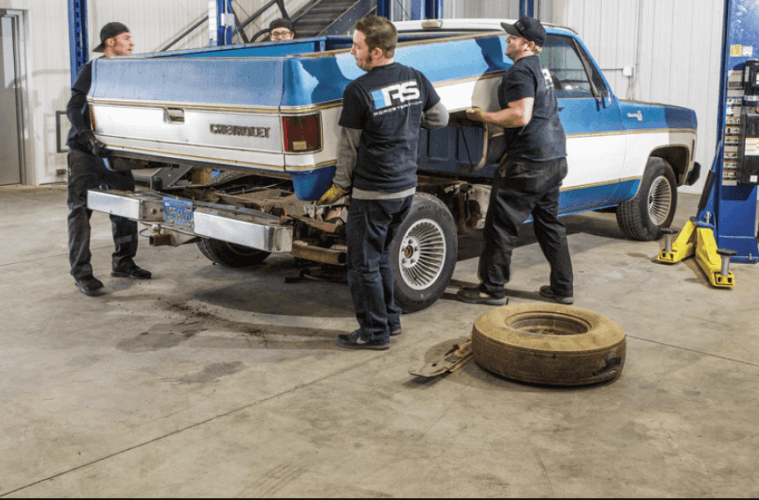 As many people in the custom automotive world know, RS produces high-caliber custom vehicles, but that isn’t all it does. The crew has developed parts so revolutionary, they help home builders succeed at creating top-notch vehicles. 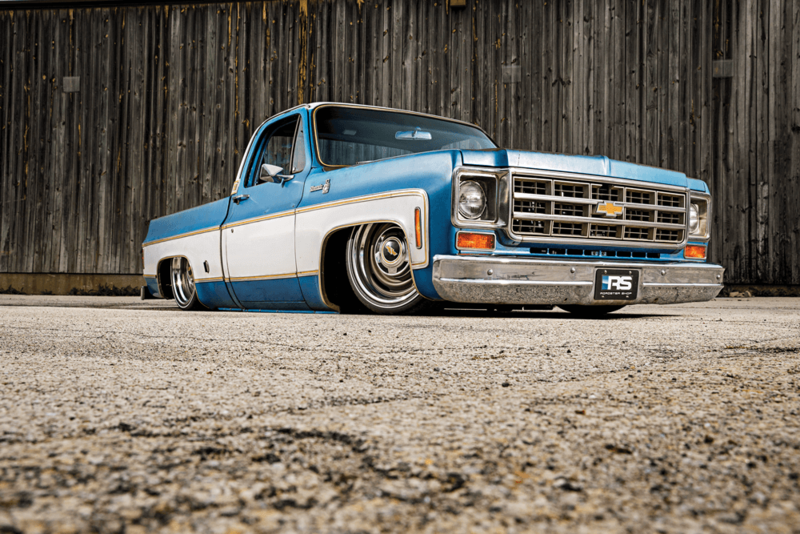 You may have seen this patina-style blue-and-white square-body named Ol’ Blue at shows this past year. It’s RS’s part-owner Phil Gerber’s prototype truck for the newest Spec Series chassis. To start the development of the kit, RS 3D-scanned Phil’s truck and uploaded the data to a computer. 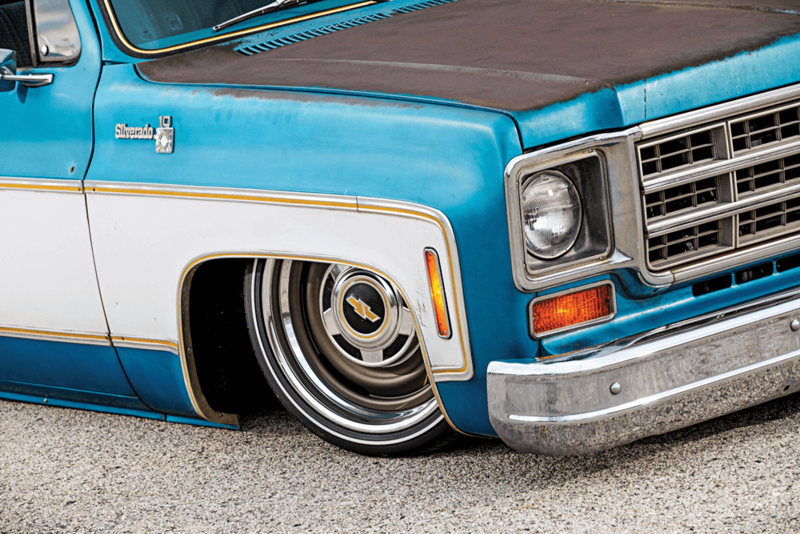 From there, the team developed a frame and chassis that could make the truck go low on Strange Engineering coil-overs, or lay the body on the ground with airbags and a maximum of 29-inch-tall tires. After the chassis model was created on the computer, it was tested with a special suspension program to simulate how it would react under real driving conditions. Once happy with the design, the team pressed the “print” button and a real version was laser cut and ready for assembly. Afterwards, it was installed and driven on the streets to gain real world experience. It did its job just as expected. The chassis was designed to come together in less time, but also to perform on a track. 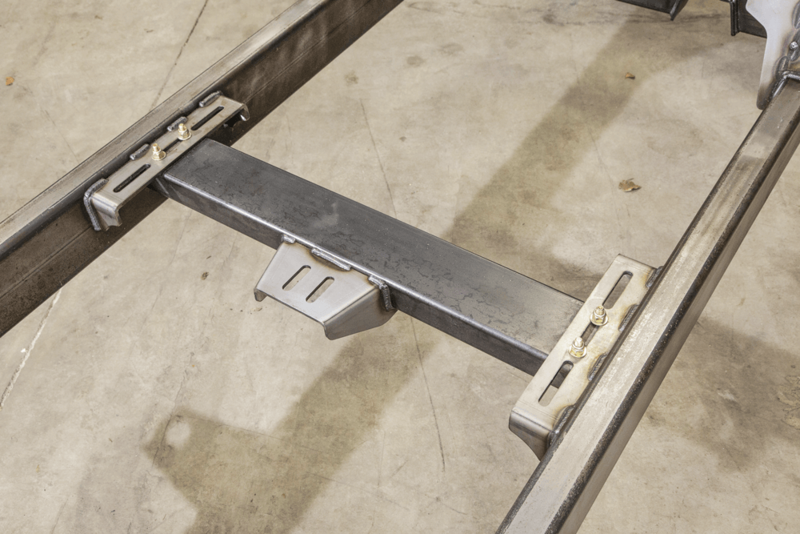 To make this possible, the frame was formed by making specific cuts to steel tubing, bending it together and welding it solid. The front suspension consists of fabricated lower control arms and tubular upper control arms with eccentric mounts to make alignment easier. 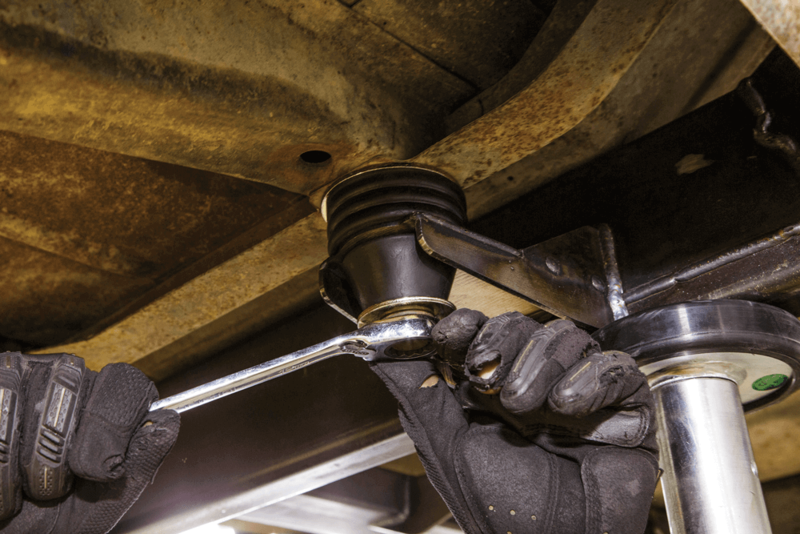 Specialized Wilwood forged spindles are combined with rack-and-pinion steering to minimize turning effort. The rear suspension is comprised of a triangulated 4-link with a 9-inch rearend. 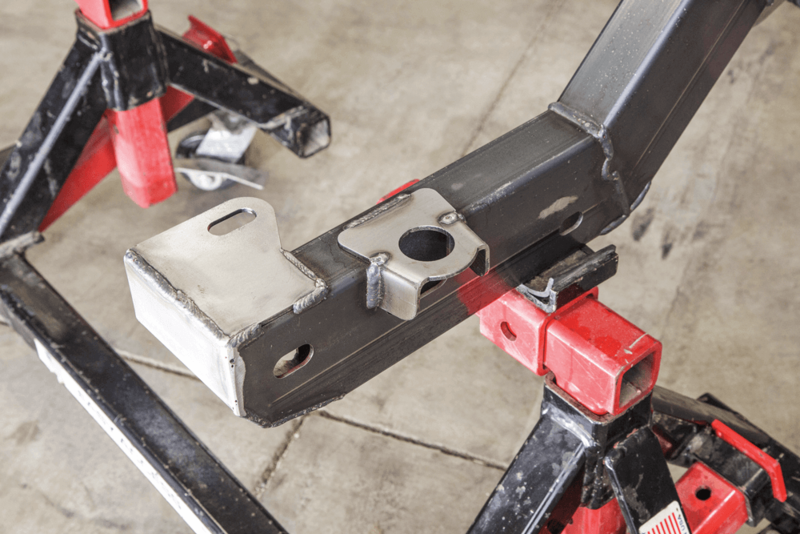 The frame also has all of the correct mounts to bolt the body on directly. 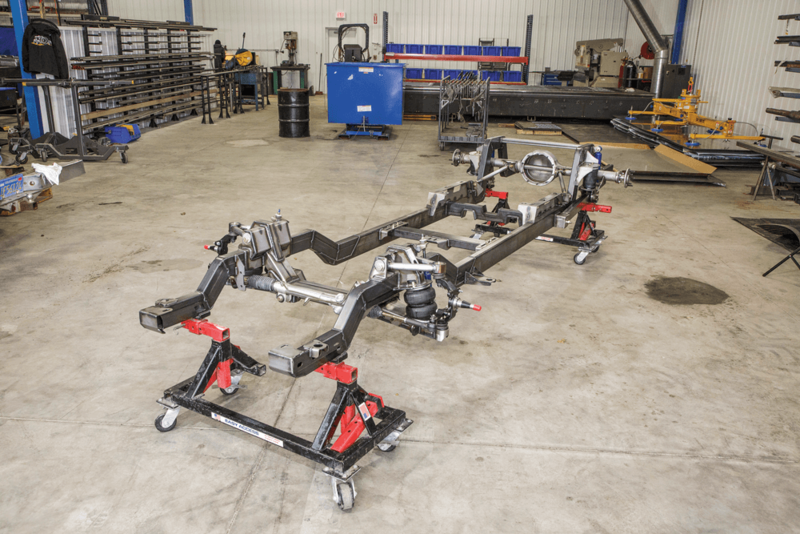 For all of these reasons and more, the Spec Series chassis is revolutionary. 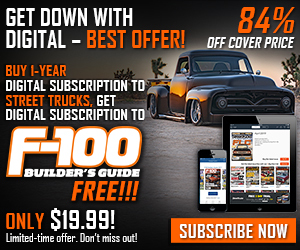 If you are planning to build a 1973-87 C-10 from the ground up, there is no reason to start your project with a tired old frame that has obsolete components. 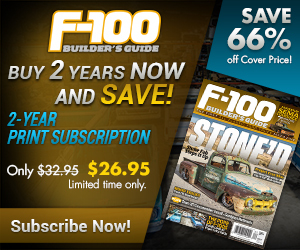 This goes especially for a build that will showcase a high-performance engine and be expected to hold down that power. 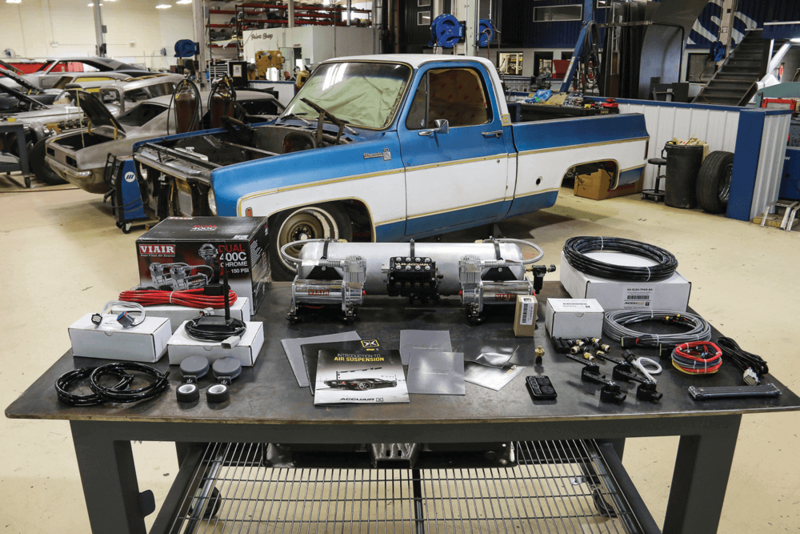 Some of the optional components for these chassis are AFCO dual-adjustable coil-overs, 11-14-inch disc brakes, a front sway bar and rearend gearing. The list of advantages is long, so continue reading to check them out yourself. 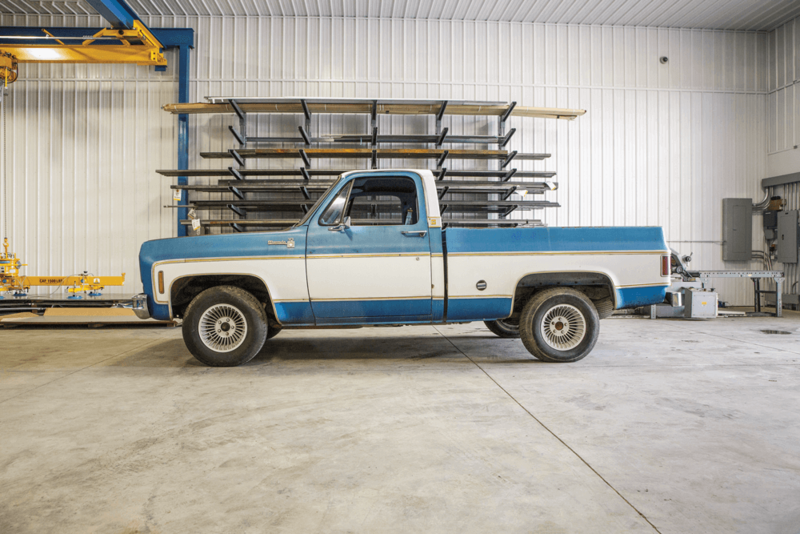 To start the process of designing a chassis for square-body C-10s, The Roadster Shop needed a clean truck to develop a prototype. 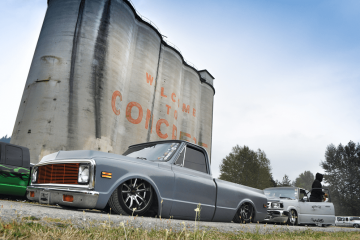 Phil Gerber found this ’77 C-10 and brought it in to be 3D scanned. Then a model of a chassis that would provide a 4-inch ride height was created on the company’s computer. Meanwhile, the test mule was disassembled. The bed, frame and front sheet metal were all removed, leaving just the cab on the lift. 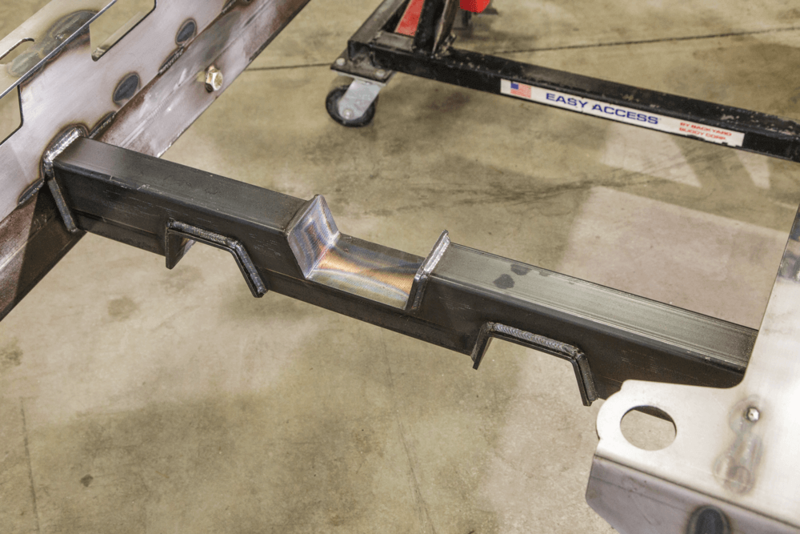 This is a frame rail of the Spec chassis before it was welded. 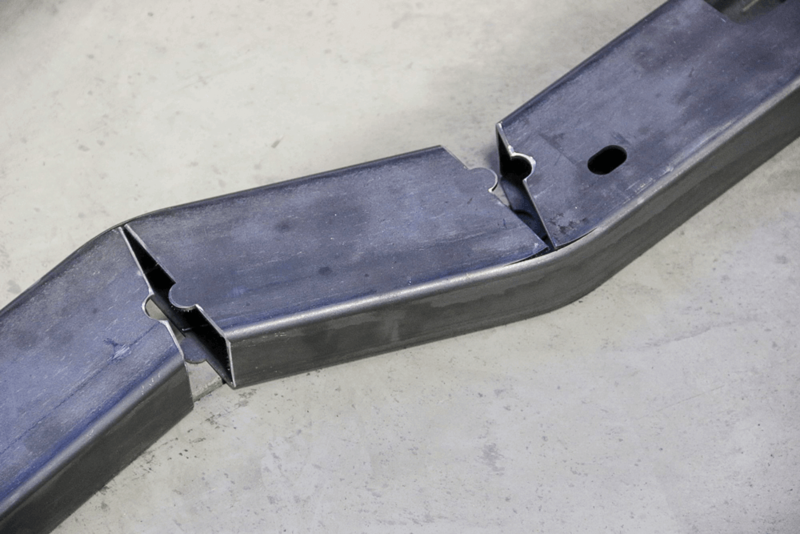 The precision of the CNC laser cuts allows for single pieces of steel to be bent into place and welded to form the frame rails. 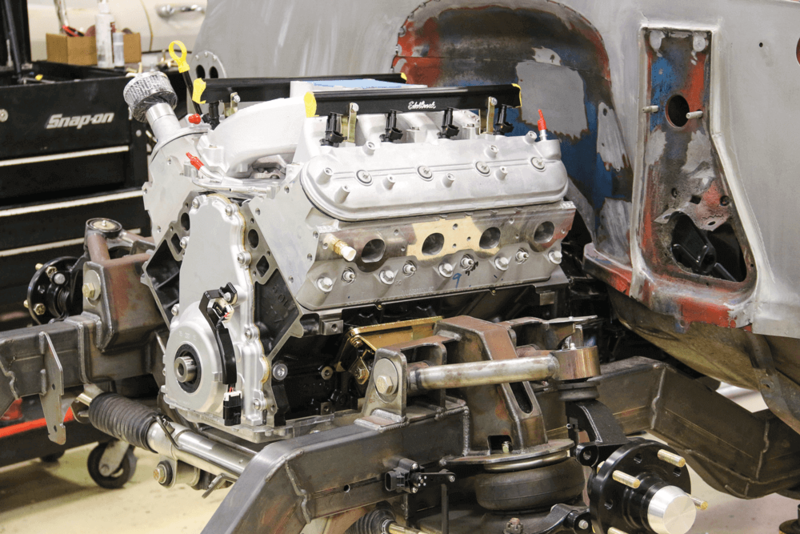 This process saves labor, resulting in a lower price for the whole chassis. With the frame rails done, the suspension was added to complete the initial Spec chassis. 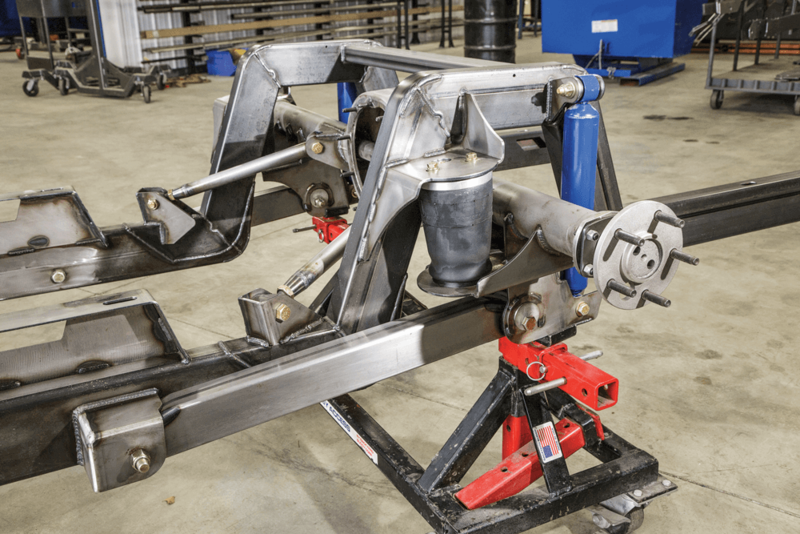 The IFS has fabricated lower control arms and tubular uppers that were designed for maximum wheel clearance. 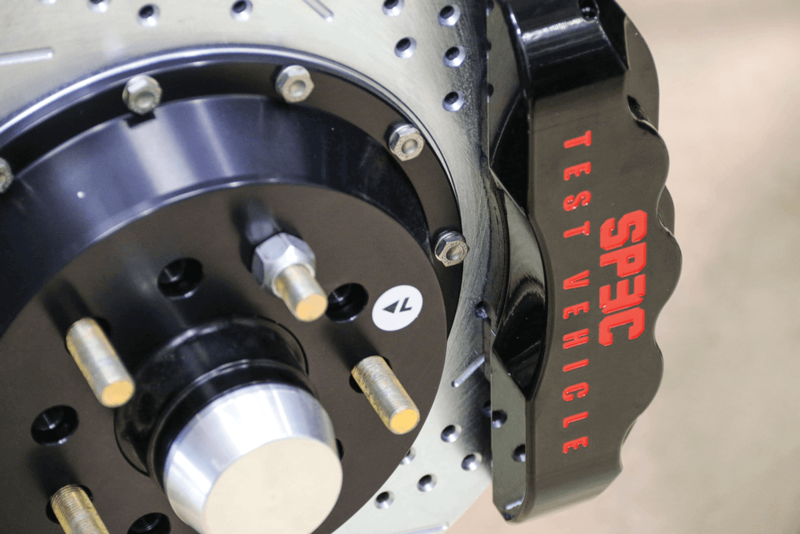 Forged spindles and a power rack-and-pinion modernize steering capabilities. For the air ride version, airbags are implemented and mono-tube shocks are mounted tightly behind. A coil-over version is also available with single adjustable shock or AFCO dual adjustable versions as an option. A front sway bar is another optional part offered as well. 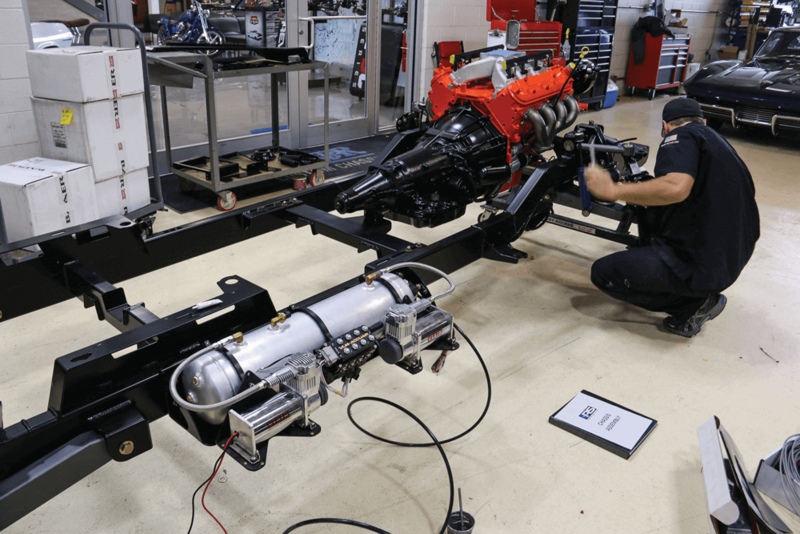 Although the Spec chassis is an entry-level product, it’s a bumper-to-bumper system with all of the body mounts needed to bolt up to a truck. The transmission cross member can adjust to different locations and will drop out for maintenance. The rear cross member is notched to accommodate the driveshaft and exhaust. 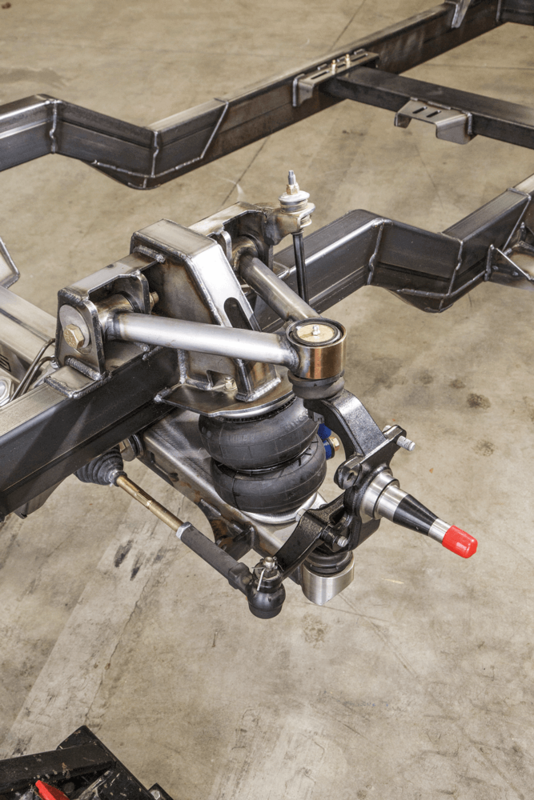 The rear suspension uses a triangulated 4-link to hold the 9-inch rearend with 31-spline axles in place. 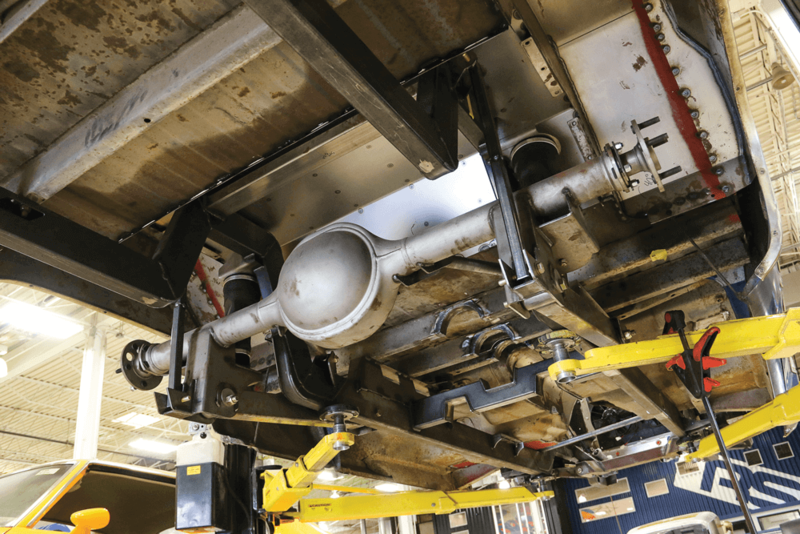 The rear frame kick-up allows the axle to travel upwards for the truck to lay body on the ground. The chassis was engineered for minimal bed modifications and to fit up to 12-inch-wide wheels (345 tire width) with the use of mini-tubs. Once the prototype frame was together, it was bolted up to the cab to start the mock-up of Ol’ Blue. 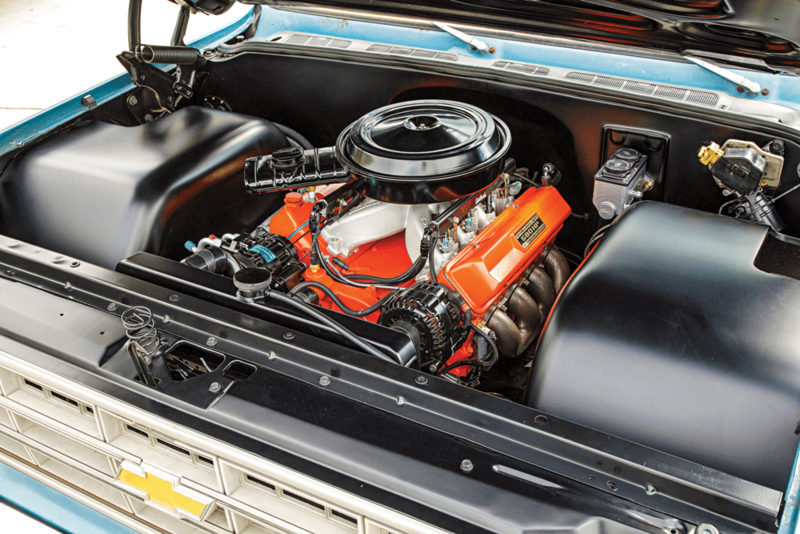 This chassis was designed for gen four GM small-block engines, which is pretty much the standard for C-10 builds these days. 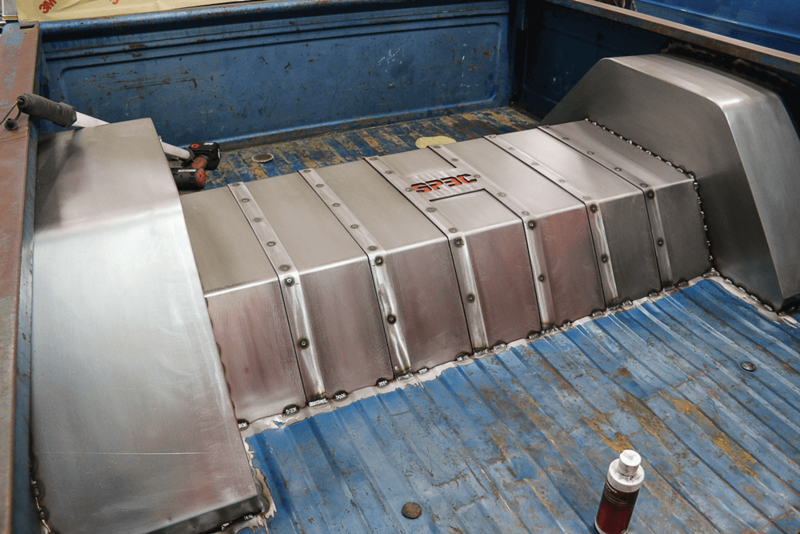 Though the chassis will bolt up to a C-10, you will need to modify the cab floor to make room for the transmission and driveshaft. 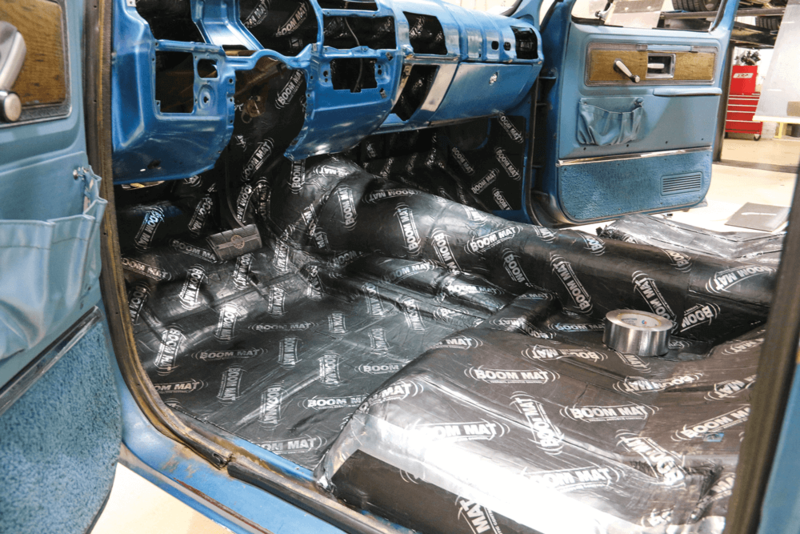 With the floor cut, sheet metal was used to cover the hole, and then sound-deadening material was layered over it. Another area that will need to be modified is the bed floor. A cut will be required for the frame notch. There are several methods for executing these modifications, and the talented crew at RS created these slick wheel tubs and notch cover out of sheet metal. From the underside you can see that the forward cross braces of the bed required modification as well. 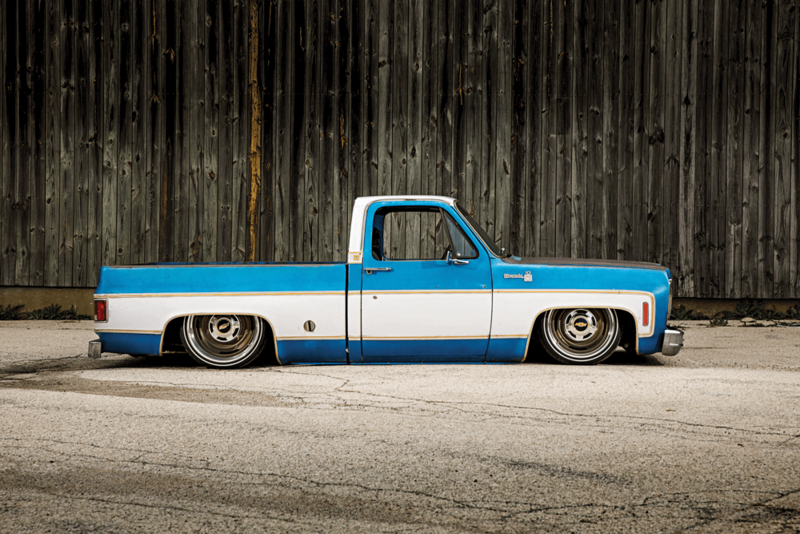 Ol’ Blue was equipped with AccuAir management and VIAIR compressors. They were mounted during the mock-up stage. 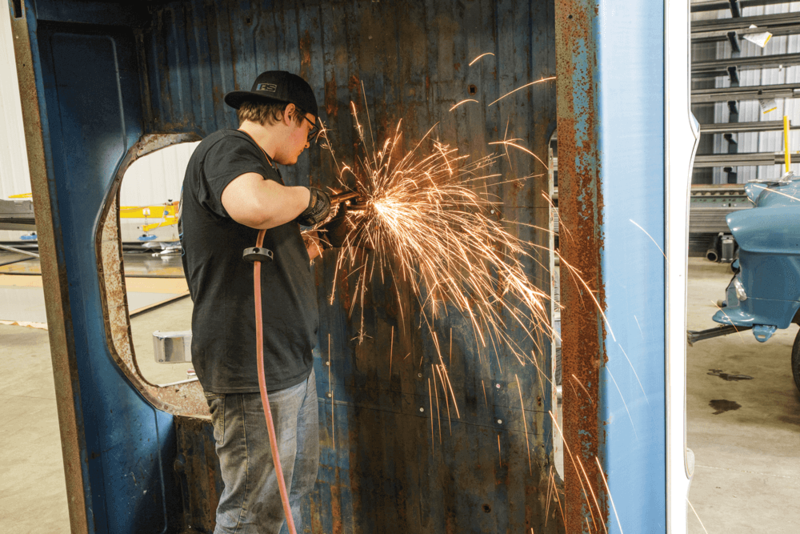 After everything was configured and the mock-up was completed, the truck was broken down again, and all components were painted before reassembly. The chassis was equipped with 14-inch front and 12-inch rear Baer disc brakes, which is an option for these chassis. With the chassis complete, the cab was reinstalled. As you can see, the rear of the frame can easily be fit with a gas tank like this one from Rock Valley. As the truck started to take form, the front sheet metal was added back on. To keep the wheels from kicking up dirt, a set of custom inner fenders was made. The stock hood hinges were reused. 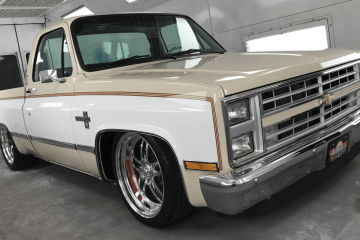 Phil’s truck was fitted with a set of RS’s RS-OE1 wheels and Michelin tires. Starting at less than $10K, the Spec Series complete chassis are a bargain. 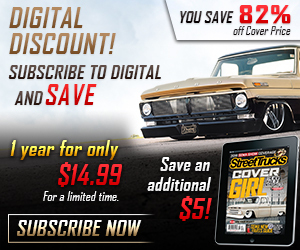 Though this may sound like a big chunk of change, it’s money well spent and will completely modernize the way your classic truck rides and handles. You could piece together a system, but you might end up spending more in the end without benefitting from a complete chassis. If you are starting a ground-up build, it would be wise to consider an RS Spec Series chassis for the job. 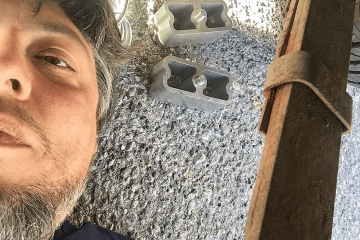 Next ArticleVIDEO: How To Replace Vent Window Weatherstrips!